Early Remove technology moves data to a new block when the controller reads that the rate of modification frequency in Flash block has increased to over 70%, and erases the original block to be used as backup, thereby extending lifespan. Early Retire reads retry for correction when the controller reads that the rate of modification frequency in the Flash block has increased more than 90%. 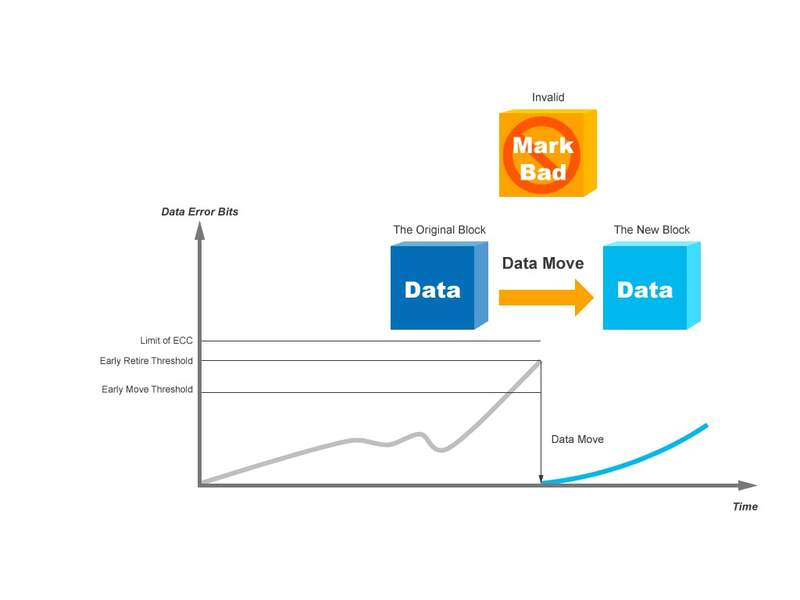 It moves the data to the new block, then invalidates the original block to avoid block damages that can cause data loss. Read Count prevents the occurrence of Read Disturb. 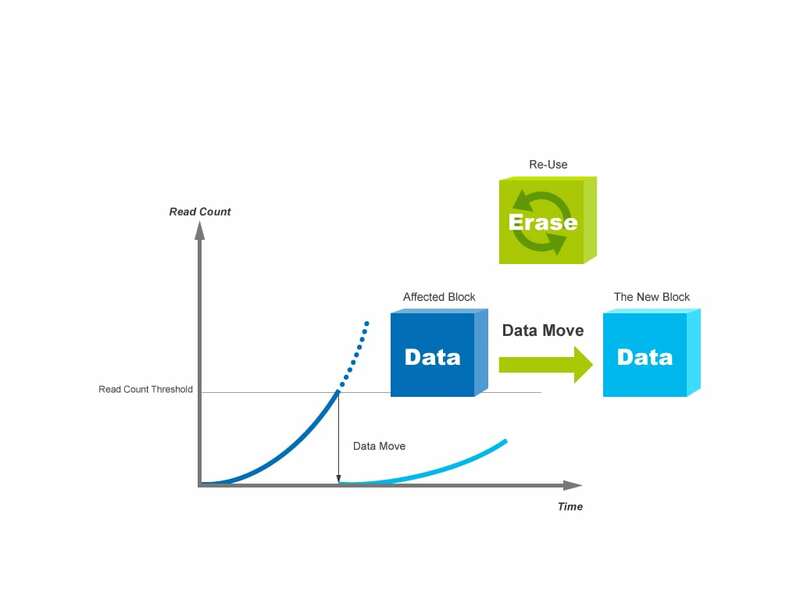 If the data stored in a certain block is being over-read too many times, the data stored in surrounding blocks may be affected (potential change 0->1 or 1 -> 0), causing the controller to calculate the Read Count. When the count exceeds the Read Count Threshold, the affected block will be copied and moved to a new block, then the original block will be erased and used as backup. This helps to extend the life expectancy.